As Israel announces, belatedly, the start of establishing a major barrier to protect the southern parts of the state ["Israel starts construction on 20-foot-high fence surrounding Gaza", Times of Israel, February 3, 2019], we're seeing a spate of news reports reminding Israelis why security of that sort is indispensable. Times of Israel | 3 February 2019, 2:01 pm | Two Jordanian nationals were arrested early Sunday after they crossed illegally into the country, the Israel Defense Forces said. 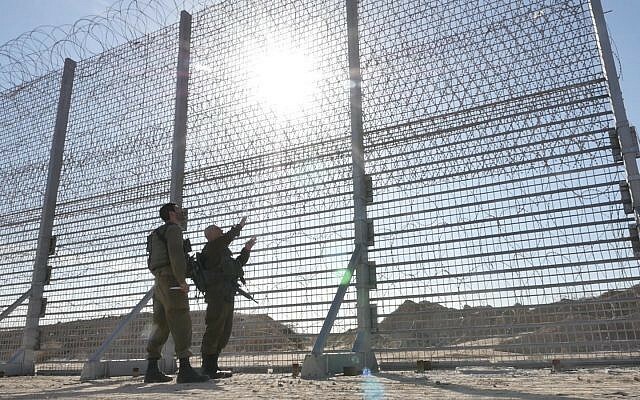 According to a statement from the military, IDF soldiers identified the two suspects overnight, after they crossed the border fence. The troops stopped and arrested the pair near the border, the statement said, adding that they were carrying no weapons. They have been taken for questioning to determine why they crossed the border. The statement did not specify where along the border the incident took place. A young Palestinian man trying to gain access to a West Bank holy site on Sunday aroused the attention of police when they spotted him in the middle of a group of tourists entering the Tomb of the Patriarchs, police said. Border Police officers arrested the suspect, a man in his twenties, after noticing he didn’t belong with the group and was acting suspiciously in an apparent bid to gain entry to the site, in the West Bank city of Hebron, police said. Police officers called him aside for a more thorough inspection before realizing he was carrying the blade. “When the suspicion grew stronger, the soldiers aimed their weapons and at that point the suspect drew the knife that had been concealed in his clothes, threw it to the ground and raised his hands,” a police statement said. Police said the suspect, a resident of Hebron, admitted during his initial questioning that he intended to carry out a stabbing attack. 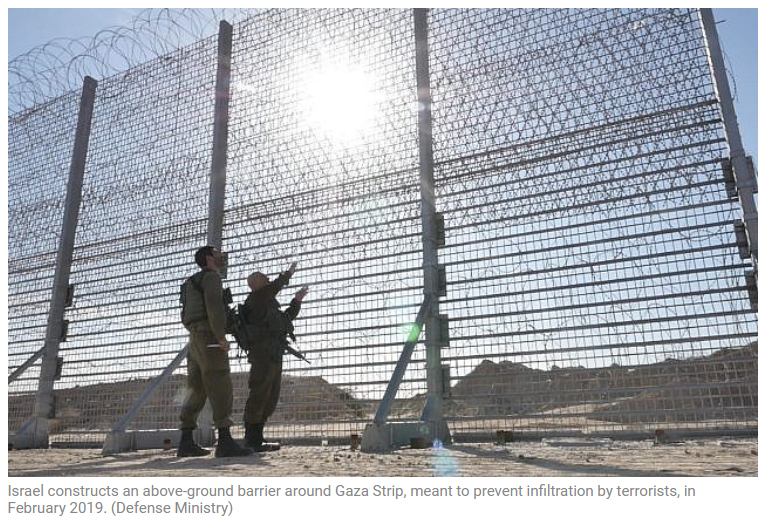 Times of Israel | February 4, 2019, 9:04 am | IDF troops on the Gaza border apprehended a Palestinian man who crossed the border fence into Israel from the southern Strip, the military said in a statement Monday morning. The man was searched by soldiers and taken into custody. The IDF said that a knife was found near the point where the man crossed the fence, and “apparently belonged to the suspect.” [...] Monday’s incident is the fourth in a 24-hour period in which individuals were caught attempting to cross into Israel on various borders. Five youths who crossed from northern Gaza into Israel on Sunday night remain in custody and are being questioned. On Sunday, IDF troops arrested two Lebanese men who crossed the border into Israel near the divided border village of Ghajar and were discovered to be carrying 11 kilograms (25 pounds) of hashish. Earlier Sunday, two Jordanian nationals were arrested after they crossed illegally from Jordan, the army said. They were carrying no weapons. Their reasons for attempting to jump over the border fence are not known. These news reports tend to get somewhat overlooked outside Israel.